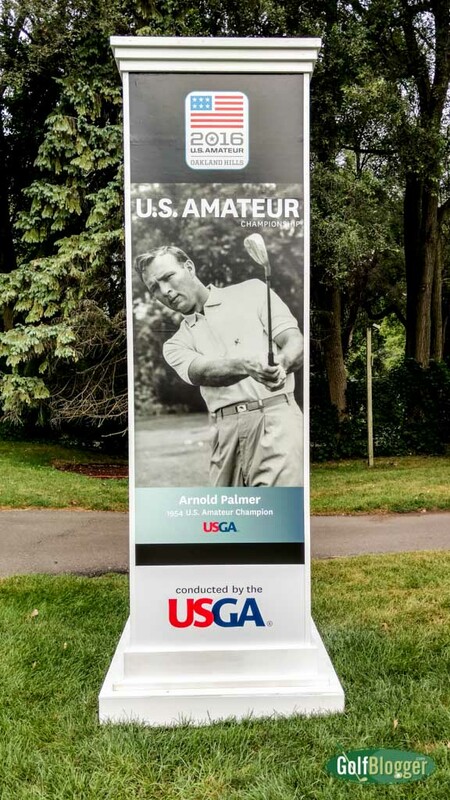 The 2016 US Amateur kicks off today at Oakland Hills Country Club in Bloomfield Hills, Michigan. Spectator parking Monday through Friday is at Lahser High School. Shuttles run continuously from the parking lot to Oakland Hills. Single day tickets are $20, and a pass for the week is $75. You can get tickets to the US Amateur online here . Monday August 15 and Tuesday August 16 are stroke play rounds. This will reduce the field from 312 players to 64. Competitors will play one round each on Oakland Hills North and South. Match play begins Wednesday August 17 with a field of 64. All match play rounds are held on the South Course at Oakland Hills. The first round of match play will consist of 64 players in 32 matches. On Thursday August 18, the 32 winners from Wednesday play 16 matches in the morning, and the 16 winners advance to the third round that afternoon. Friday features eight players in four matches. Play does not actually begin on Friday until 1 pm. The spectator parking lots at Lahser High School open their gates at noon. Plan accordingly. On Saturday, the four winners from Friday tee off in two matches at 8 am and 8:20 am respectively. Spectator parking for this event is at the Bingham Farms Office Center, where the gates open at 7 am. The US Amateur Sunday finale features the two winners from Saturday. Unlike the previous matches, the finals consist of two rounds. The first round begins at 8:30 am , and the second at 2:00 pm. Parking once again is at Bingham Farms, and opens at 7 am.